No matter the scope of your job, we treat every job, and every client, with the respect and consideration they deserve. This is important, because even though you may only have a small project that needs attention, it’s still important enough for you to seek professional guidance from a local Olympia Contractor. As a full-service contractor, we will see each job to completion from the design phase until all of the final touches are in place. We will work with you to address any issues that arise during construction, always providing you with a list of concise options meant to keep things running smoothly, and on time. The relationship between you and your general contractor is vital, because communication is the gateway to success. No matter what project you’re undertaking, we will help you sift through the many decisions you must make regarding materials, colors, textures, and other essential design elements. Are you ready to experience life in the home you’ve always dreamed of? Contact Mike Winter Olympia Contractor today, and let us help you bring the spark of an idea to life. What follows is a brief overview of some of the services we provide. • Additions and Remodeling – There are a number of reasons you may seek out a general contractor to remodel your home or build an addition. Your family may be growing larger, or the lifespan of your kitchen or bathroom may have reached its limit. It’s also possible you’re just tired of the way a certain living space looks and would like to modernize or upgrade. There are multiple phases that must be addressed when designing a new living space or remodeling your home. Your contractor will assemble all of the moving parts into one cohesive whole – electric, framing, and plumbing work will need to blend cohesively with finishing touches like color, shapes, and fixtures. It is important to consider your own lifestyle when designing a new living space, and any experienced contractor should be able to offer you ideas you may never have thought of. • Roofing Repairs – Sometimes roofs leak, and while roof repairs and replacements are nowhere near as exciting as remodeling a room, it’s often necessary on older homes. Here in Olympia, our wet climate dictates that we maintain a reliable roof, and your contractor has the experience to ensure that your roof doesn’t fail when you need it most. At Mike Winter General Contractor, we offer a lifetime warranty on our roof replacements. We can also address important issues like waterproofing and roof drainage, so that your investment is well protected. • New Home and Custom Home Construction – Building your dream starts by contacting an Olympia Contractor to discuss your vision. While some people are happy building a new home from an existing design, others want to customize every detail of their living space to make their home an extension of the lifestyle. Still others are seeking to simplify their life and leave a smaller footprint, making tiny homes more popular with every passing year. At Mike Winter Olympia Contractor, we understand that building your own home is both exciting and daunting… no matter if its in the Olympia area or not. There are a lot of decisions that a contravtor needs to make, and a significant investment that must be acknowledged. From the design of your home to the last coat of paint, we will work with you to create a place where you can raise a family, enjoy retirement, or enjoy that custom garage you’ve always dreamed of. • Built-to-Suit Home – Everyone leads a unique lifestyle. Your job, the makeup of your family, and your interests can all be considered when building a home. If you like to entertain guests, a big kitchen and a large outdoor space may be a good idea. 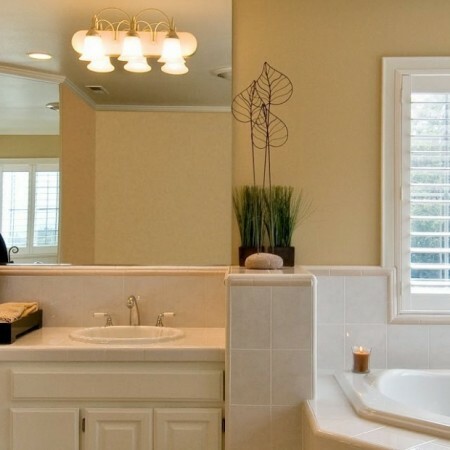 If you have a large family, you may want a home with many rooms and baths. Indeed, the options for home customization are endless, and we can help create a living space that takes all of your day’s pursuits into consideration. • Custom Home Builders – Customization goes a step further than overall home layout. You may want to add features to your home that create warmth or increase light distribution. You can accomplish this with custom windows or wood floors. You may even want to build a custom home that explores some kind of theme by adding retro flooring or fixtures. Talk to your contractor now. • Predesigned Homes – You may be the kind of person that likes to keep things simple, or you already found a home design that you’re comfortable with. Our Olympia home builders can build any predesigned home that you would like. • Garages – Adding a garage can keep your car looking new or make a great place for get togethers, all while adding value to your home. • Shops – Why not build an addition on your home that allows you to create your own projects or pursue a hobby? We can design a custom shop for you whether you’re into cars, woodworking, or anything else. • Tiny Homes – Our home building professionals are finding that tiny homes are becoming more popular every year. Let us use our expertise to maximize the space in your tiny home. 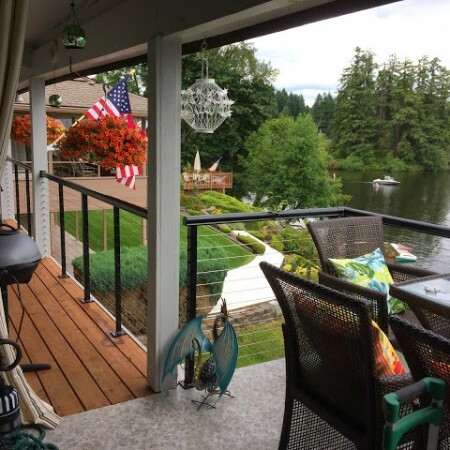 Decks – Your deck is an extension of your living space, so it makes sense to treat it with the same consideration you would any other feature in your home. There are a variety of materials and styles at your disposal, so your contractor will work with you to create something that is functional, beautiful, and built to last. Contractor Olympia. 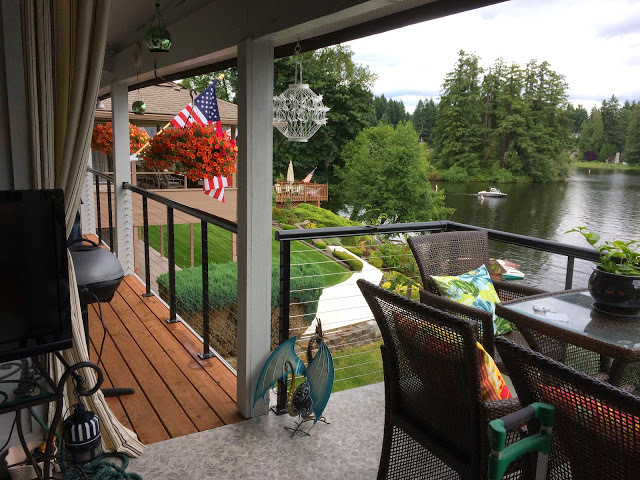 Not only can we create a deck you’ll be proud to share with friends and family, we can create deck features that will enhance your overall enjoyment of it. Your contractor can add deck benches, hardscapes, a hot tub, and even waterproof elevated decks to create a area protected from the weather below. If you have an idea for your deck, we have the means to make it a reality.